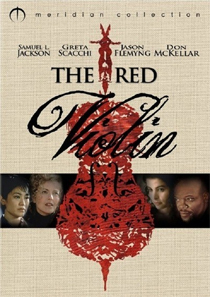 John Corigliano won an Oscar for his soundtrack to 'The Red Violin,' director François Girard's cinematic tale about an instrument of passion, a shocking secret and an extraordinary journey. The mysterious violin travels through four centuries, impacting all who come in contact with it. Corigliano, who also won a Pulitzer Prize, a Grawemeyer Award, and five Grammy Awards, created several haunting works from the film's score.